My Eyes CD | Imagine Ave. Chorus lyrics and melody from “Promise” by When In Rome. 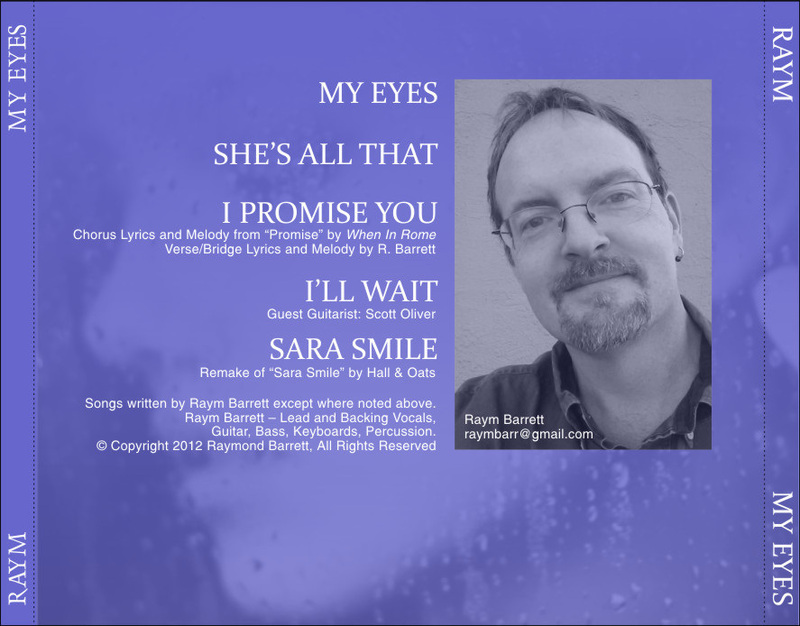 Verse/bridge lyrics and melody by R. Barrett. Remake of “Sara Smile” by Hall & Oats.